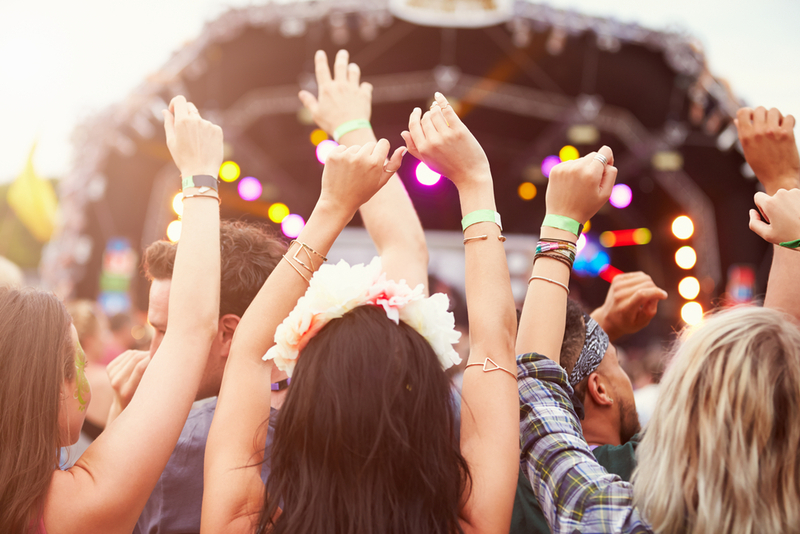 Summer is here, which means music festival season is right around the corner. From July 13th to 15th, Louisville will once again host Forecastle Festival on the Waterfront. We’ve put together a list of ten Forecastle Festival essentials to help you survive three days of music in the great outdoors. While outside food and drink are prohibited, we encourage all festival goers to bring an empty reusable water bottle. Staying hydrated is key to an enjoyable festival experience. Many veteran festival goers use Camelbak refillable water packs. The festival has strict rules on bag size. However, most bags under 12 x 6 x 12 will be allowed in. Find a lightweight day pack or fanny pack with comfortable straps to carry your festival essentials. 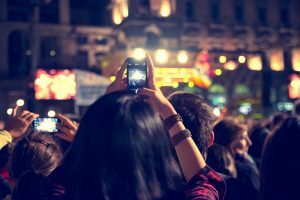 Be sure to pack your point and shoot cameras, disposable cameras or phones. No GoPros, recording devices or cameras with detachable lenses will be allowed in. There is nothing worse than getting a nasty sunburn on the first day of a festival. Be sure to wear at least 30 SPF sunscreen and reapply. Take a load off and enjoy the music form the grass. Bringing a light towel, blanket or beach mat to get off your feet and relax during your festival experience. Protect your eyes! Sunny days spent entirely outside can be super hard on your eyes. 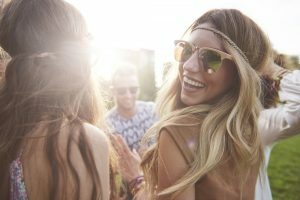 Invest in a protective and stylish pair of sunnies to top off your festival outfit. Stay cool and comfortable with a hat or bandana. This essential will keep moisture and sun off your face. We all know how important a fully charged phone is at a festival. Pick up a fully charged portable battery to charge your phone on the go. At the very least, bring a phone charger to recharge your phone at a charging station. Comfortable footwear is a definite essential for an enjoyable festival experience. We love Birkenstocks for a supportive and comfortable summer shoe choice. Of course, the best way to enjoy any festival is with people you love. Good people means good vibes and a great time. Have a safe weekend and enjoy these amazing artists!